Fincas Cos is the leading real estate company in Catalonia in the sale of country houses (also known as masias), country houses, town houses, rustic properties, castles and unique properties, some of them authentic architectural gems, located both in the rural environment, as well as in the city of Barcelona. 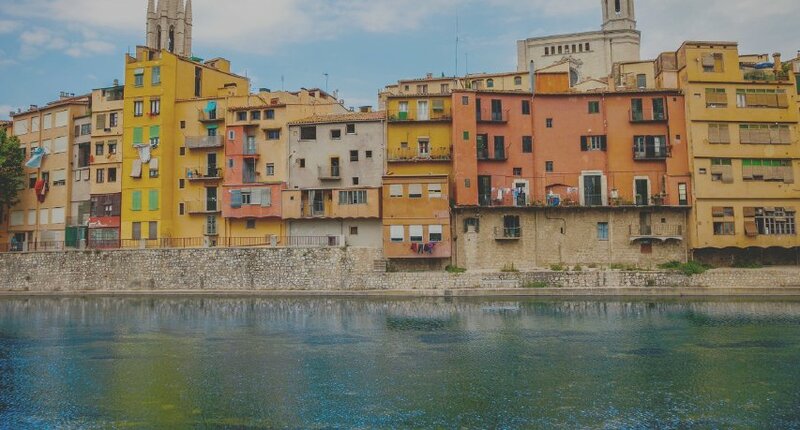 They are more than 40 years of experience leading the real estate sector and offering exclusive properties throughout the Catalan territory. We have great professionals who are experts in the sector, multilingual and with extensive knowledge of the market. All this has made us obtain a great brand recognition nationally and internationally. Country house for sale near a village with all services and with 82.4 hectares land with approximately 4,000 olive trees and 500 almond trees in full production. The property also has a guard house and a 500 sqm warehouse. Country house for sale in the region of La Conca de Barberà. Surrounded by fields, an orchard, and a large warehouse. Ideal place for agricultural production. Country house for sale 2 km from the nearest village and with all the services. Before being reformed as a dwelling was an old mill and now conserves a cellar with a groin vault in the basement. Country house from the 17th century near Barcelona with a great history and in a town with an historical heritage. Categorized as a Good Architectural Heritage, it was The Güell Counts's home where Antoni Gaudí designed his artworks. 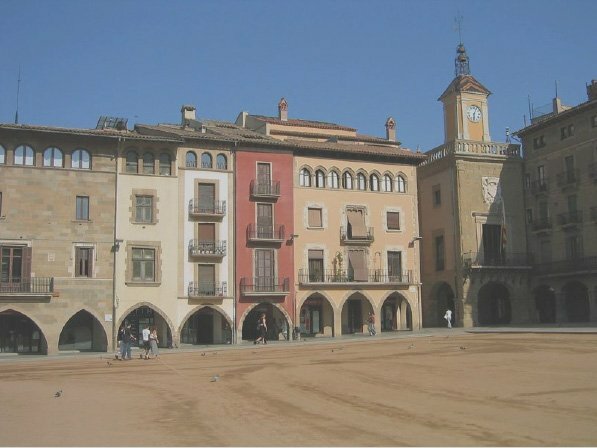 Urban plot for sale in Osona region with 3 plots that houses 1 village house and an old factory. Great opportunity to invest in a project with great profitability, being able to demolish the buildings to start a new work. Country house for sale in La Noguera region near a village with all services. It has 2 hectares of crop flelds, 2 warehouses, a farm and a swimming pool. Well-connected, in good condition and ready for occupancy. The house consist in:Ground floor: Entrace, cellar, garage 2 cars and courtyard.First floor: Kitchen with fireplace, dinner room, bathroom, bedroom and terrace.Second floor: 2 bedrooms. House for sale in an ideal place in Penedés region, perfect as a first or second family home, in the middle of nature, in very good condition and close to a village with all services. An opportunity to live in a quiet place with good views. Country house for sale in Mallorca close to splendid coves in the area. 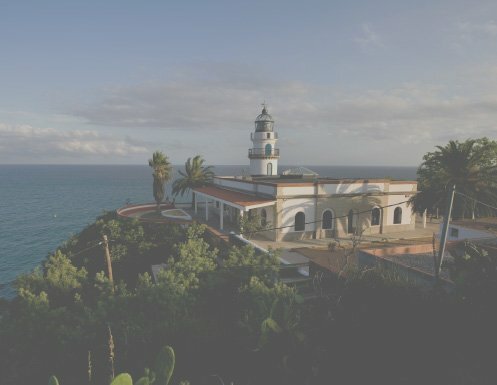 It has 266,229 m2 of land for cultivation and 2 buildings of 70 m2 to be restored. House for sale near a village with services, perfect as first or second residence with all amenities and a garden with swimming pool, own garden and a chicken coop. It is surrounded by nature and wide views of Montserrat. 2 country houses for sale near a village with all services. One in good condition and the other to reform, with walled gardens and several annexes. Opportunity to live in the countryside and to start a rural tourism business. Design Penthouse Duplex brand new in Ronda Sant Antoni with sea views and to absolutely all Barcelona. Country house for sale with panoramic views and perfect conditions not far from a village with ameneties. Country house for sale with garage 2 cars, swimmingpool a lot of water, electricity, internet, panoramic views and perfect conditions not far from a village with ameneties. Country house for sale in a village with all services, surrounded by lush forests in a very peaceful natural place. Very well preserved house that has 3,700 m2 of land and its own orchard garden in full production. House for sale in an inland village 20 minutes from Santes Creus, in a beautiful rural setting. The property is habitable and comfortable, with only one floor. It has a land of 1,000 m2, landscaped and totallity fenced . Country house for sale of the 18th-century in a very quiet place in the region of Anoia, located in a beautiful natural place. The property has several warehouses annexed and all the necessary supplies to live in the property. Property for sale located in Poble Nou del Delta to 500 mts, with 30.700 sqm ricefield and close to the sea. Village house for sale with a guest house in a quiet village in the Baix Penedès region. Ideal as a first or second family home and near other locations. Village house in good conditions with 150 sqm courtyard, not far from Vilafranca 5 km. Entrace, kitchen, dinner room, bedroom, bathroom and exit to the courtyard and warehouse 200 sqm. Hall, 4 bedrooms and bathrooom. Country house - restaurant for sale in a privileged situation of Bages region, currently used as a restaurant which has all the needed permits with the first floor as a home for housing the owners. Ideal as a home and business in the same product. Village house for sale in the Conca de Barberà region surrounded by nature and with beautiful panoramic views. The property has several rooms and all the amenities to accommodate guests. Country house for sale in the Alt Camp region in a green area, with private forests and fenced lands 100% habitable and in very good condition. Country house for sale 700 meters away from a village near Cambrils that has all the services. The property has a large area with fruit trees and olive trees in full production, a 120 m2 warehouse, community well and a raft. Country house for sale near Barcelona and a village with all services. It has 2,3 hectares of irrigated land, ideal to start an agricultural business or to produce for own consumption. Exceptional location and very well-connected. Country house for sale built in stone in the Baix Ebre region with land for irrigated crop fields and a housing area in good condition that preserves typical elements and with natural light. 2 Country hoses for sale on the outskirts of one of the most charming villages of Conca de Barberá (Conesa), asphalted access. 2 Country hoses for sale on the outskirts of one of the most charming villages of Conca de Barberá (Conesa), asphalted access fenced, indoor pool, pond for watering, barbecue, garden, well, the tool magazine. Country house for sale very close to the Sau swamp, with 85 hectares of land and many possibilities as a family home or a rural tourism business. It is in the middle of nature in a privileged place where you can enjoy the calm of the mountain. Country house for sale very cozy located in a rural environment surrounded by woods and vegetation, well connected and not far from a village that has all the services. Charming country house for sale located on the outskirts of a village of the Lleida province, in the middle of nature. A dwelling of stone construction in very good condition and ready for occupancy, with large terrain with several annexes. Torre - house for sale on the north of Vilafranca, 670 meters above sea level in a quiet urbanization surrounded by greenery. Available for occupancy, ideal for families looking for a natural environment to live. Country house for sale in a beautiful town of Girona, well reformed with a 12th-century defense tower, a wood-burning fireplace, and an old wine cellar with original barrels and large gardens. A beautiful place to escape from the city hustle. 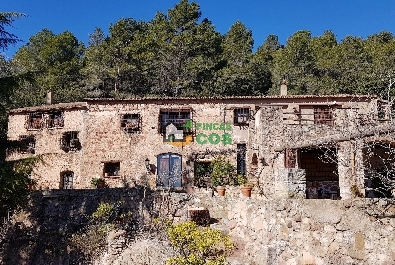 Country house for sale located near Sant Joan de les Abadesses in a natural environment with good access, well-connected to other villages and surrounded by forests and mountains with beautiful panoramic views. Country house for sale near Riudecols with annexes destined to the horse riding practice, with the option to turn it into a business or just for enjoy your horses in an adapted home to their needs with stables, jump fields and pony-horses yard. Country house for sale close to Reus, with 30,000 m2 of land with agricultural land, fruit trees and areas of own forest. An estate in the middle of nature where you can enjoy a great life quality far from the hustle and bustle of the city. Country house for sale in the Baix Ebre region located in a very quiet place, surrounded by land with olive trees. Property with many possibilities as a business or for the production of the best oil with denomination of origin. Village house for sale with a privileged location on the Costa Dorada with beautiful views and surrounded by vineyards, ready for occupancy. A charming place to enjoy the quiet with good life quality. Country house for sale very close to Botarell village, surrounded by olive trees and fruit trees. The house is in very good condition and ready for occupancy. It has a garden, orchard, a barbecue area, a pool, a well, and corrals. A good opportunity. Country house for sale near Reus, in an agricultural area surrounded by fields, with its own olive trees, being able to generate premium quality oil for your own enjoyment or as a business. A great opportunity. Country house for sale in a rural area of the Alt Penedés region in good condition and with 4.250 m2 of flat land. Country house for sale in the outskirts of a Penedés village, with a large terrain of 4,250 m2 with garden, annexes and an orchard in full production. Village house for sale in the Priorat region in very good condition and ready for occupancy. Village house for sale in the center of a charming village in the interior of Catalonia. House with four floors, a cellar, an attic, and, a terrace. Ideal home for families and ready for occupancy. Beautiful house located in a medieval village not far from Cervera the property with a perfect renovation, is the best house in this area. Village house for sale located in a village in a beautiful natural environment where you can enjoy a great life quality. The property is ready for occupancy and has its own garden and areas of lush forests. Country house for sale located in the mountains, in a very quiet environment in contact with nature with 51 hectares land of extensive meadows and forests. It has asphalted access and is well connected to other villages. Eighteenth-century village house for sale in the center of a village with all services; It conserves original elements such as wooden beams and windows, and also the vaulted ceilings. It has a large well-kept garden-orchard. Village house for sale in a charming locality, close to the old town. Preserves details such as the original wooden beams and the stone arches that frame the windows. A cozy house in a very quiet place. 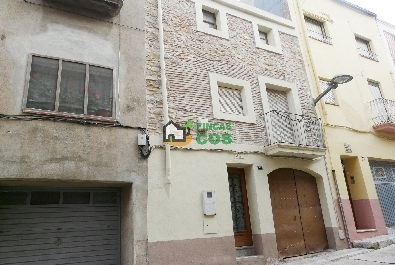 Village house - building for sale in Cervera, very central and with several independent dwellings, a commercial premise and up to 10 parking spaces with great profitability. A good opportunity to invest. Village house for sale located in one of the main streets of a township near Montblanc, with stone alleys and centenarian houses. It is ready for occupancy and retains some original elements such as its stone facade. House for sale well-connected with other villages, very good location in a quiet place, with all services nearby and surrounded by nature. A dwelling where you could enjoy a great life quality. Country house for sale in nature not far from the nearest village with all services; It's surrounded by 10,116 sqm of flat land with pine and olive trees. A quiet place where you can enjoy a great life quality. House for sale in one of the main cities of the region with very careful interior design and beautiful garden, close to all services; well-connected with other locations and ideal as a first or second family home. Country house for sale very well located in a rural and very quiet environment surrounded by olive fields in full production and beautiful panoramic views. Estate with good access and well-connected to a nearby village with all services. Country house for sale in the Baix Ebre region, very close to a village with all services. Quiet rural environment and well connected with paved access and just a few minutes from the Delta del Ebro's beaches. Village house for sale in Tarragona area, large and with a typical modernist decoration. Rooms very well preserved with original elements and many possibilities as a family home or a business of tourist interest. Country house for sale located in a beautiful forest area surrounded by natural landscapes at the base of the Serra de la Mussara. Ideal place to live peacefully but not far from other populations, with good access and well-connected. Irrigated land for sale in one of the best crop fields areas of Catalonia, in Pla de Llerona. With 11.2 hectares land, this property offers many possibilities to start an agricultural business or to cultivate the land for own enjoyment. Country house for sale and irrigated land 23 km from Barcelona and near a village with all services. Ideal for countryside lovers with a lot of terrain and with possibilities to start an agricultural business or for own consumption. Country house for sale built in stone located in a charming village with beautiful panoramic views. Very quiet place and close to all services, ideal to live with family or to start a rural tourism business. Country house for sale in the Maresme region in a privileged location surrounded by nature and quietness. Ideal to host family or to start a business to celebrate events, weddings, and all kind of parties. Country house for sale to reform in les Garrigues region in a very beautiful rural area surrounded by olive, almond, cherry and vineyard fields. It has access by forest track and is near a village with services. House for sale in the Baix Camp region in a very well connected city with an airport. It is placed in a high category area and has all the amenities and ready for occupation. HOW IS THE HOLY WEEK CELEBRED IN CATALONIA? 11-04-2019Enjoy the weekend organizing plans with kids in Delta del Ebro and stay in a country house to get a better experience! 09-04-2019Do you live in the city but want to get away from the daily stress with your family? Discover the advantages of living in a village house! Fincas Cos we are dedicated to the purchase and sale of the best country houses, town houses, rustic properties, castles and unique properties of Catalonia. Fincas Cos enjoys a maximum prestige and recognition at a national and international level within the real estate sector thanks to the long experience in the sector (since 1977). 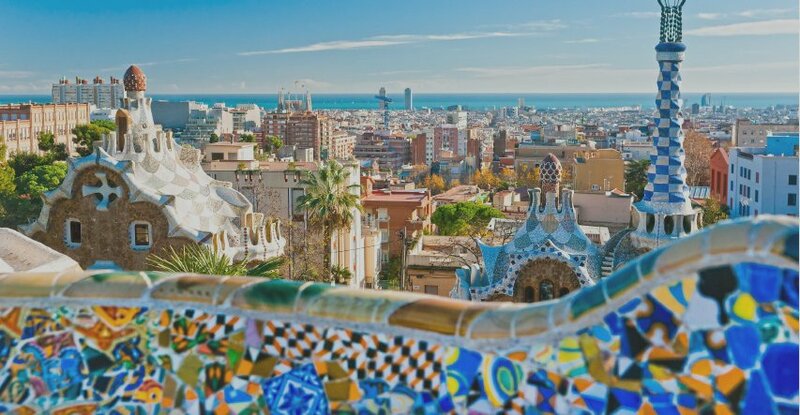 We currently have a long portfolio of exclusive properties throughout the Catalan territory and, above all, in the city of Barcelona.